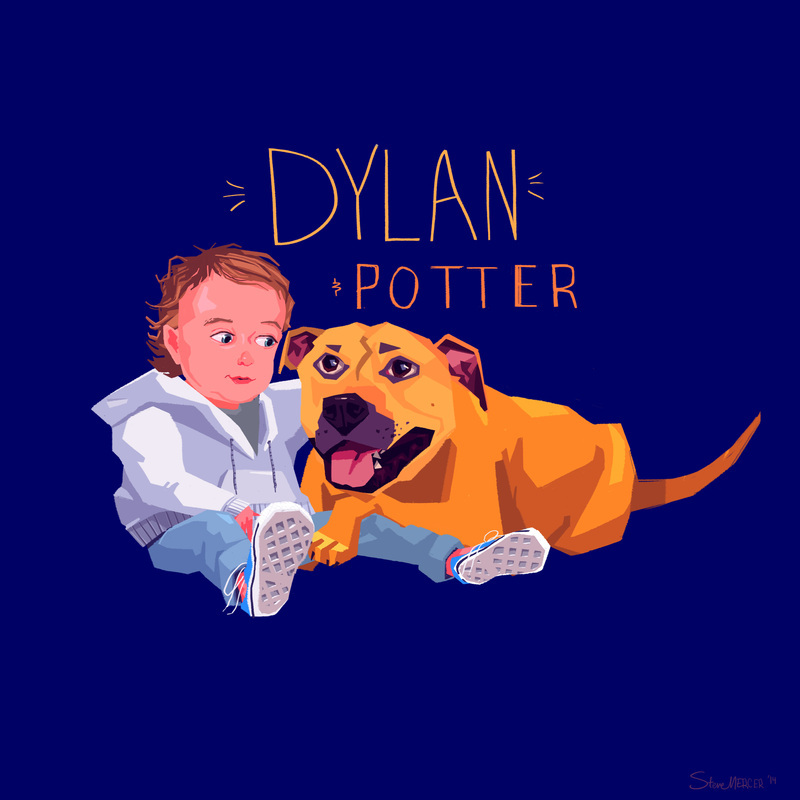 This painting is for @tompaulson, this is his son Dylan and his dog Potter. They were notified by a police officer and good friend that a breeder was going to be surrendering some puppies to animal control because they were not able to sell them. Tom decided to check it out and instantly fell in love with baby Potter!